LoveUMarketing » Earn Money Online » Blogging » How to get Quality Backlinks on .EDU and .Gov Websites? It’s a known fact that if you want to improve the performance of your website then you must focus on creating backlinks to your website. Here the word ‘Good Quality’ is very important because getting lots of inferior backlinks can harm your website. You must also ensure that these backlinks are from the website having a good Domain Authority score. There are the various ways to build backlinks from such websites. But here will discuss the easiest way only. 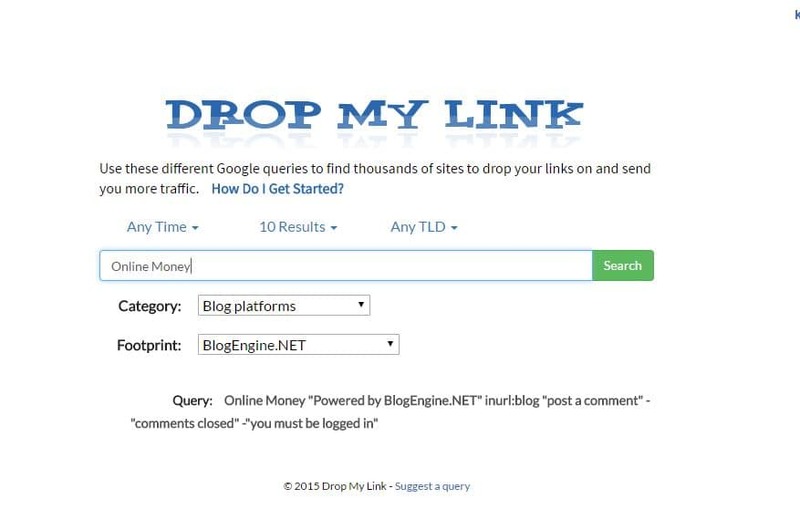 Here, in this article, we will show you how to build backlinks by commenting on such websites. Yes, it is possible to build a good number of backlinks by commenting on another website. All you need to do is visit the website and do comment. 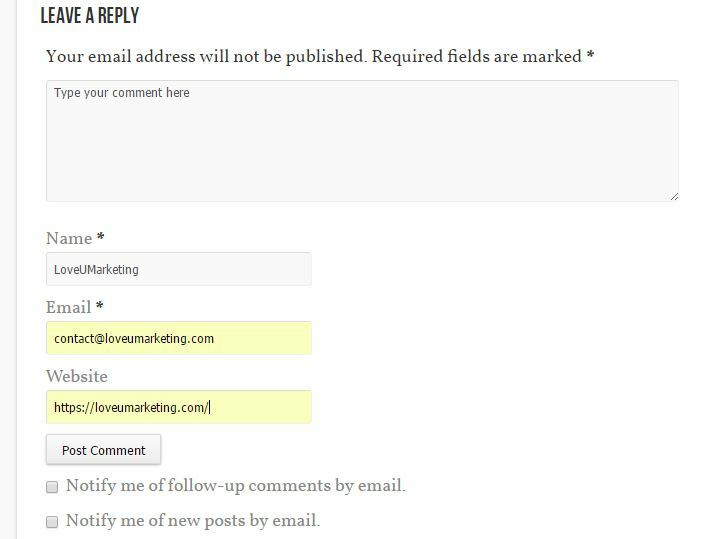 Note: Here, we are not going to share the list of websites that allow you to comment on their website. Instead, we will share the easiest and permanent way to find such websites. If you follow the steps given below then you will have the huge list on hand. To build such backlinks you can take the help of ‘Drop My Link’. It is a collection of SEO footprints that will help you in building link fast. In the layman language, it will suggest you the list of website based on your query. Type the Particular Keyword in the space provided. Click ‘Search’ to get the same. Now after getting the list of websites, click on any particular website as per your choice and make a comment in the available comment box. Yes, that’s it. You will get the backlink once it gets approved by the moderator. Please ensure you write something productive in the comment box. Writing simple ‘Thank You’ note will not allow you to get the backlinks on the website. Now, if someone asks you how difficult is to get the quality backlinks, then you must reply that it is very easy to get the good quality backlinks. It important to check the domain score of a website before getting links from it. To determine these score, you can take the help of free domain authority checker available free of cost online. Remember, greater the score more the important the website is. Always try to get backlink from a website with a domain authority of greater than 30. These high PR links will improve the performance of your website. We know that it is very difficult for the new blogger for creating backlinks to your website. Therefore, at below link, we are sharing the top 10 ways to build backlinks for your new website. Below post is specially written for the new blogger who doesn’t know how to get backlinks for their website. If you still face any problem in creating backlinks to your website then feel free to contact us. We will be happy to help you out. Awesome! Its really remarkable paragraph, I have got much clear idea oon the topic of from this piece of writing. Tout d’abord bonjour. :) Ce post est plutot pas mal. Thanks for the information to get quality backlinks for .edu, .gov websites. This nice article makes it seems very easy to get backlinks from .edu or .gov sites. I will definitely try this for myself. let’s see if this works for europe too. Thanks a lot from the Netherlands! thanks a nice post ,its very much helpful .i will updated my list.keep sharing . hi! this is a fantastic weblog and i constantly appreciate the info posted here. Bookmarked and shared. Many thanks once more! Very Useful SEO tips on getting backlinks. You have explained nicely and in simple way. We are very much thankfull to you.